We arrange next flight out service for our clients, who are known shippers, that need their packages delivered same day utilizing commercial airlines. 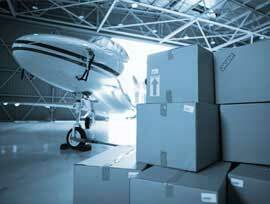 We can also make arrangements for the delivery of items on the receiving end if requested. Note: If your company and address is not listed in the national TSA Known Shipper Database. Special arrangements have to be made for a site visit before TSA services can begin.